Be sure you know key laws that span everything from incorporation to labor. Despite the ongoing harmonization of many areas of Canadian business law with those of major U.S. trading partners through international agreements, addressing distinctly Canadian business law requirements is a crucial consideration when entering the Canadian marketplace. Business executives, counsel, and potential investors from foreign countries must know several unique aspects of Canada's legal and economic framework and key business legislation, including French language requirements in the province of Quebec, as well as overlapping regulatory jurisdiction among various levels of government in certain areas of the law. Recent amendments to Canada's business statutes have eased director residency requirements and further facilitated setting up branches or subsidiaries in Canada. If a foreign entity decides to incorporate a Canadian subsidiary, the subsidiary could be incorporated as a federal corporation under Canadian law or as a provincial corporation under provincial laws. Such incorporation is typically an uncomplicated process and does not require any substantive government approvals. A simple filing is necessary, and the corporation must be registered with various tax and government bodies. The capitalization of a corporation is a private choice. No approvals are required, although the corporation should consider tax rules. The corporation does not have to publicly disclose share capital and other financial information unless it is a publicly-listed company. The Canada Business Corporations Act (CBCA) applies to federally incorporated businesses. Canada's 10 provinces have comparable legislation, although their laws differ. Generally, a federal corporation has the capacity and power of a natural person and may do business anywhere in Canada and use its name in any province. All provinces regulate the corporate activities of federal corporations operating in their jurisdictions through laws of general application requiring registration, the filing of returns, and the payment of fees. A federally or provincially incorporated business must register or obtain an extra-provincial license in each province where it does business, other than, for a provincially incorporated business, the province where it was incorporated. If the name of the corporation is not acceptable in the province where the application or license is made (for example, because a corporation with a similar name is already registered there), registration may not be granted. In the province of Quebec, a corporation must have either a bilingual name or a French version of its name, unless the name is a registered trademark. Meetings of the directors of both federal and, for example, Ontario corporations, may be held either within or outside of Canada. However, in certain cases, the articles or bylaws of the corporation must specifically provide for such meetings. For most CBCA, federally incorporated corporations, the Canadian residency requirement is 25 percent at the board level. There is no residency requirement at the board committee level. The minimum number of resident Canadian directors that must be present for business to be transacted at a board meeting is also 25 percent for CBCA corporations, unless the absent Canadian director, whose presence would otherwise be required, approves the business transacted at the meeting in writing or by electronic means. For boards with fewer than four directors, there must be at least one resident Canadian on the board. For business to be transacted at a board meeting, this member must be present or, if absent, he or she must approve the business conducted at the meeting in writing or by electronic means. For CBCA corporations to which statutory or regulatory Canadian ownership requirements apply, a majority of the board and board committee members must be resident Canadians. Some foreign investors choose to incorporate in British Columbia, New Brunswick, Quebec, Yukon, or Nova Scotia. The applicable business corporation statute in each of these provinces does not have a director residency requirement. A Canadian subsidiary may not generally be consolidated with other operations for foreign tax purposes. Consequently, in the initial period, when losses may be expected, starting a business through a branch operation may permit losses in Canada to be offset against income in the home jurisdiction, depending on the laws of the home jurisdiction. Use of a branch operation would require an application for an extra-provincial license describing the structure of the applicant and designating an "agent for service" in the province. The applicable provincial authority must approve the business or corporate name under which the license is to be granted. Since the use of a branch subjects the foreign corporation to provincial and federal laws, consider first creating a wholly-owned subsidiary in the home jurisdiction of the foreign corporation. That subsidiary would then do business in Canada through a branch. Depending on the laws in the home jurisdiction, the foreign parent might avoid direct liability for actions of the Canadian operation and might still be able to consolidate any losses of the Canadian branch into its own financial statements for tax purposes. In some situations, a U.S. investor will want to hold its Canadian interests in a "flow-through entity" for U.S. tax reasons. Only the provinces of Alberta, British Columbia, and Nova Scotia permit the creation of an Unlimited Liability Company (ULC). A ULC may be treated in the United States as the equivalent of a partnership or "check the box" flow-through entity. However, the use of flow-through entities has grown complex as the result of recent amendments to the Canada–U.S. Income Tax Treaty, which may deny the benefits of that treaty to such entities. The use of a partnership or joint venture, in combination with one or more persons or corporations in Canada, may, in certain circumstances, be an attractive option from a tax perspective. However, it may be unattractive in other circumstances, such as the existence of a non-Canadian partner that may cause payments to or from the partnership to be subject to Canadian withholding tax. If a nonresident holds its partnership or joint venture interest through a subsidiary incorporated in Canada, the same tax considerations noted above for subsidiaries apply. Participation of a nonresident in a partnership or joint venture directly, for foreign tax or other reasons, equates to operating through a branch in Canada. The nonresident partner must obtain an extraprovincial license in each province where the joint venture or partnership does business. Several federal and provincial tax considerations are relevant to nonresidents seeking to do business in Canada. One of the most important considerations is whether to establish a branch operation or to incorporate a Canadian subsidiary. Canada's tax regime for businesses and individuals is largely governed by the regulations of the federal Income Tax Act (ITA) and the federal Excise Tax Act (ETA). The ETA imposes the federal "goods and services tax" or "harmonized sales tax" (GST/HST). Most businesses operating in Canada are required to register for GST/HST purposes and to collect GST/HST on the provision of taxable goods and services. The corporate taxes and other laws of the provinces and territories also govern Canada's tax regime, including, in some provinces, provincial retail sales tax laws. When establishing a business in Canada, a nonresident must decide whether to conduct its business in Canada through a branch or Canadian subsidiary. General considerations include capital taxes, the taxation of individuals, tax matters for partnerships and joint ventures, and sales and commodity taxes. In addition to filing annual income tax returns, corporations are subject to ITA reporting requirements. GST/HST-registered businesses, whatever their structure, must file regular GST/HST returns. Under both the income tax and the GST/HST system, severe penalties can be levied for failing to file an information return, or for providing incorrect or incomplete information on a return. In addition to federal and provincial income taxes, a nonresident corporation (NRC) doing business in Canada is subject to the so-called "branch profits tax," which approximates the withholding tax that would have been paid on taxable dividends from a Canadian resident subsidiary if the NRC had incorporated a Canadian subsidiary to do business in Canada rather than through a branch. Under the ITA, the branch profits tax is generally levied at a rate of 25 percent, which may be reduced under certain tax treaties on the profits of the branch after Canadian taxes and an allowance for investment in Canada. Since a Canadian subsidiary is a Canadian corporation, it is not subject to branch profits tax. However, upon the repatriation of funds by the Canadian subsidiary to the NRC by way of dividend, a 25 percent withholding tax is payable, subject to reduction by an applicable tax treaty. Certain acquisitions of control of Canadian businesses by non-Canadians are reviewable by the Canadian government under the Investment Canada Act (ICA) and must be of "net benefit to Canada" and not "injurious to national security" to secure approval. Although Canada's foreign investment rules do not affect many transactions, those transactions which are affected may be subject to delay while the foreign buyer negotiates undertakings with the Canadian government as a condition of securing approval. Under the ICA, the Canadian government reviews a foreign acquisition of a business in Canada where its value exceeds specified thresholds. The ICA applies whether or not the business being acquired is Canadian-controlled. Subject to limited exceptions, a direct acquisition of control of a Canadian business by a WTO investor is currently reviewable only where the acquired business has assets with a book value of more than $312 million. As a result of recent amendments, which are not yet enforced but which are to be implemented at a date the federal government has yet to fix, this threshold for review will be raised to $600 million in enterprise value. The threshold will increase over a four-year period to an enterprise value of $1 billion, following which the threshold will be adjusted annually to reflect changes in gross domestic product. The requirement for government review and approval is generally limited to direct acquisitions of control of large Canadian businesses by non-Canadians. In general, a "non-Canadian" means an individual who is neither a Canadian citizen nor a permanent resident of Canada, or an entity that is controlled or deemed to be controlled by one or more non-Canadians. A review may be required in the case of smaller acquisitions and the establishment of new businesses by non-Canadians in prescribed "cultural" industries. Also, pursuant to a new provision of the ICA, a review may be required for any investment by a non-Canadian that is potentially injurious to national security. There are guidelines for the review of acquisitions of control by investors that are owned or controlled, either directly or indirectly, by a foreign government. While investments by state-owned enterprises are not prohibited, they are subject to additional scrutiny in determining whether their investments meet "net benefit to Canada." The Commissioner of Competition may require approval before completion of significant acquisitions of Canadian businesses. (b) for an acquisition of more than 20 percent of the voting shares of a public corporation, or more than 35 percent of the shares of a private company, that operates business or controls a corporation that operates business, the aggregate book value of the assets in Canada of the corporation and all corporations controlled by it (other than assets that are shares of any of those corporations), or the gross revenues from sales in or from Canada generated from those assets, exceeds $73 million. Special rules govern transactions involving joint ventures or partnerships. When the above thresholds are met, the parties must submit a pre-merger notification filing to the Commissioner of Competition, which triggers a 30-day waiting/no-close period. If, prior to the expiry of the waiting period, the commissioner issues a "supplementary information request" (SIR), the waiting period is extended for an additional period, ending 30 days following full compliance with the SIR. Expiry of this period constitutes clearance, although the commissioner retains residual power to challenge a merger before the Competition Tribunal for up to one year following closure. Where there is no or very minimal competitive overlap, the buyer can request that the commissioner issue an advance ruling certificate (ARC), which can usually be obtained within 14 days. 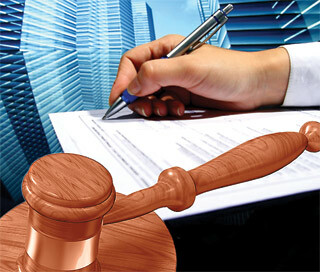 The ARC exempts the acquisition from the formal pre-merger notification and clearance provisions of the Act, and removes the commissioner's power to challenge a transaction for one year following closing. The constant change associated with employment and labor law in Canada poses a challenge for employers doing business there. That challenge is compounded by the fact that employers with operations across Canada may be subject to differing employment laws in each province. An employer will be subject to either federal or provincial jurisdiction with respect to employment and labor matters. The level of government that has jurisdiction is determined by the industry in which the employer operates. Industries that are interprovincial by nature — such as airlines, telecommunications, and railways — are regulated by the federal government. Most other industries — which account for the majority of employers in Canada — fall under provincial jurisdiction. Among the areas that are regulated are employment standards; human rights; workers' compensation; employment equity; pay equity; occupational health and safety; union certification; and privacy matters. Employment standards legislation in each jurisdiction establishes minimum notices of termination requirements (and, in some cases, statutory severance pay) or pay in lieu of notice. Unless the employee is terminated "for cause," statutory notice typically ranges from one to eight weeks' written notice, based on an employee's length of service. Most jurisdictions require enhanced notice when an employer terminates or indefinitely lays off a certain number of employees within a specified period. In addition to these legislative requirements, nonunion employees are entitled to reasonable notice of termination under the common law. Such notice is often onerous and depends on factors such as the employee's position, length of service, re-employment prospects, and age. An employee who has been terminated with notice in accordance with the applicable employment standards legislation may still sue the employer for more pay in lieu of notice. Court awards of a year or more are not unusual for senior management employees, with awards of up to 24 months for long-service, senior employees. The purchaser of a business can inherit a variety of employment-related liabilities and obligations, including termination costs, employment standards violations, workers' compensation costs, pay equity adjustments, collective agreements, and union bargaining rights. Accordingly, only careful due diligence can reveal the liabilities acquired with a business. To reduce such liabilities, transactions can be structured for vendors to provide appropriate indemnities. The protection of personal information leads public policy debate in Canada. Federal and provincial privacy protection legislation profoundly affects how virtually all organizations do business across the country. Canadian businesses and private-sector organizations are subject to federal or provincial privacy protection legislation governing the collection, use, and disclosure of information about an identifiable individual (with some exceptions). Additionally, Canada's anti-spam and anti-spyware legislation creates a stringent set of rules with meaningful penalties. Public-sector privacy laws require virtually all levels of government, including departments, agencies, and most Crown corporations, to restrict what they collect and to provide individuals a right of access to personal information being held about them. In some provinces, the public- sector laws also place geographic restrictions on where personal information may be lawfully stored or accessed. These rules extend to service providers of public bodies. Companies doing business in Canada are subject to environmental regulation by federal, provincial or territorial, and municipal governments. Directors and officers of Canadian corporations can be personally liable to charges, fines, and, in extreme cases, imprisonment for causing or permitting damage to the environment, regardless of whether the corporation has been prosecuted or convicted. 1. Quasicriminal enforcement: Individuals and businesses that do not comply with environmental legislation may be subject to quasicriminal charges. Both prosecutions and penalties for these offenses have increased significantly in recent years. In most Canadian jurisdictions, a due diligence defense is available for many environmental charges. To establish defense, the accused must prove that they took "all reasonable care" to prevent the offense from occurring. 2. Environmental penalties: These penalties encourage compliance with the appropriate regulatory regime, rather than penalize those who do not comply. Their practical effect is similar to that of a fine. 3. Administrative orders: Government authorities can order individuals and businesses to take remedial action to investigate, clean up, or otherwise address an environmental concern or issue. Those who fail to comply with an order can be prosecuted. 4. Civil actions: A person may bring a civil action for breach of contract or based in tort (i.e., for negligence, nuisance, strict liability, or trespass) to recover damages suffered from the party that caused the damage. Some environmental statutes also give injured parties the right to recover damages suffered as a result of, for example, spills. Corporate directors and officers can be personally liable for fines and, in extreme cases, imprisonment, for causing or permitting damage to the environment, regardless of whether the corporation has been prosecuted or convicted. Also, if the directors and officers are sufficiently involved in the activity leading to a discharge, they may be personally named in regulatory orders for the protection or cleanup of the environment. Canada's insolvency and restructuring regime consists primarily of two separate statutes that have been substantially amended in recent years to align their restructuring provisions. Despite some similarities with its U.S. counterpart, the amended Canadian regime remains distinct. The Companies' Creditors Arrangement Act (CCAA) or the proposal provisions of the Bankruptcy & Insolvency Act (BIA) govern corporate restructurings in Canada. Known as "Chapter 11 without rules," the CCAA is only available to debtors with total debts of over $5 million. The statute provides great flexibility to the supervising court and the debtor in conducting restructuring proceedings. In contrast, the BIA provides a structured set of rules and regulations. Nonetheless, both statutes provide for a stay of creditors, the filing of a plan or proposal, and voting on the plan or proposal by affected creditors, followed by court approval. This article does not contain a full analysis of the law. It provides general information only and does not constitute legal or other professional advice or an opinion of Osler, Hoskin & Harcourt LLP or any member of the firm on the points of law discussed herein. We invite you to contact the contributing authors of this publication or any other firm member to discuss the legal issues outlined in this publication. Please visit www.osler.com to download the full guide to "Doing Business in Canada."